Along with hair and makeup services, we also help you give a creative insight with your clothing. Sohni Juneja is a renowned makeup artist in India, who work to enhance your look and beauty. Get sensational look and let everyone adore your beauty with India’s best makeup artist at affordable rates. 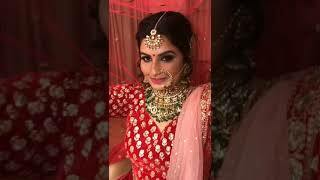 Call us or book your appointment with Best Bridal Makeup Artist in India. She is very good in her work. She did my engagement and marriage makeup and it was awesome. Keep it up Sohni J !! Undoubtedly the best makeup artist in the industry! Had a great experience with her on my big day. She understands the needs of her clients and makes them look as beautiful as they can on their special day!